Most students live "off campus" in apartments and homes in Berkeley and neighboring communities. Several GTU member schools own apartment buildings and dormitories, both in Berkeley and elsewhere. Member schools house their M.Div. students first, and then rent to M.A. and Ph.D./Th.D. students as space is available. Most likely you will need to wait until mid-summer to receive definite notice from a school regarding the availability of its housing. Some schools give preference to students who have affiliated* with them. Single students (without pets) may wish to consider applying for dormitory housing at (PLTS, PSR, & CDSP). It is always good to seek other housing options while you wait to hear about the availability of GTU member school housing. *Affiliation with a member school is not required for doctoral students, however, for some it is of interest. The two primary benefits are that affiliation formally connects you with the community and worship life of a member school, and, for those who intend to teach or work at church-related schools or organizations, affiliation can provide an environment for expanding knowledge of denominational opportunities and increase your network of professional colleagues. This multi-cultural campus residence and program center is dedicated to promoting intercultural respect and understanding among 585 residents (mostly graduate students) from 70+ countries, as well as through diverse programs serving the local and campus community, and alumni worldwide. Single students from GTU member schools are welcome to apply for a room at "I-House," an historic building on the west side of campus with its own cafe, dining hall, library, computer room, and resident lounges on each of eight resident floors. A virtual tour of the facility, as well as rates, an online application, and program information is available at ihouse.berkeley.edu. 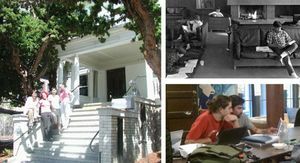 The Berkeley Student Cooperative is a 501c3 nonprofit housing cooperative. The BSC provides affordable housing and board to students at UC Berkeley and other Bay Area colleges and universities. BSC's mission is to provide a quality, low-cost, cooperative housing community to university students, thereby providing an educational opportunity for students who might not otherwise be able to afford a university education. Presently the BSC has over 1300 student members living in or eating at seventeen houses and three apartment cooperatives around the UC Berkeley campus. Each house is democratically run, and all contribute labor to help keep housing costs affordable. The Bay Area is one of the most competitive and exciting rental markets on earth! Usually you can expect to pay $1200+ per month for a studio, $1400+ for one bedroom, $1800 and up for two bedrooms. Small houses will start at about $1800 per month. 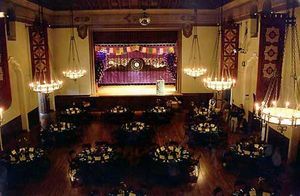 Price will vary with the size, age, location and amenities. Here are some hints for finding a place that fits your needs and your budget. Use as many of the resources available to you as you can. The most fruitful housing search will include using newspaper classifieds, housing bulletin boards, housing services, management companies, and word-of-mouth. This process will give you the most comprehensive look at the housing market. Come to your search prepared to show that you are a good tenant. In a tight housing market like the Bay Area, property owners may be more picky than elsewhere. It is a good idea to have a "Housing Resume" that lists 1) your name, address and phone number; 2) your previous addresses, landlords and their phone numbers; 3) your present (or future) employer’s address and phone; and 4) a letter or two that recommend you as a good tenant. Landlords will be more likely to rent to you if they feel assured that you will pay rent on time and take good care of their property. Start your search early. While there may not be any such thing as a "good" time of the year to be looking for housing in Berkeley, August is one of the more difficult times. This is when many students are returning to the University of California and are also looking for a place to live. For those of you who are interested in the member school housing options outlined above, plan to apply EARLY (as soon as April 1 at some schools), and then be prepared to wait for a placement until June or July. For private housing options (like Craigslist or other online classifieds) try to come for a week long search in June or July, or plan on arriving in town at least a few weeks before classes start. If you want to arrive in early summer and look for permanent housing once you're here, check out summer sublets on Craigslist. Sublets are often an inexpensive and comfortable option for temporary housing! Be ready to "move" when you find a place that you like. Because housing in the Bay Area is such the "seller’s market" you will find that the best apartments are snatched up very quickly, sometimes in a matter of hours. If you find a place you like, consider making an offer before someone else does. You should be prepared to pay first and last month’s rent plus a security deposit in order to move in to a new apartment, though sometimes landlords will not require all three. Finally, consider living outside Berkeley proper. You may find it easier (and sometimes less expensive) to locate in a nearby community - Albany, Kensington, Oakland, El Cerrito, Richmond - rather than in Berkeley. You may also think about Concord, Walnut Creek, Lafayette, Livermore, Dublin, Pleasanton, and Hayward, all East Bay communities served by the BART subway system. Some students also life in the vibrant and diverse city across the Bay, San Francisco. 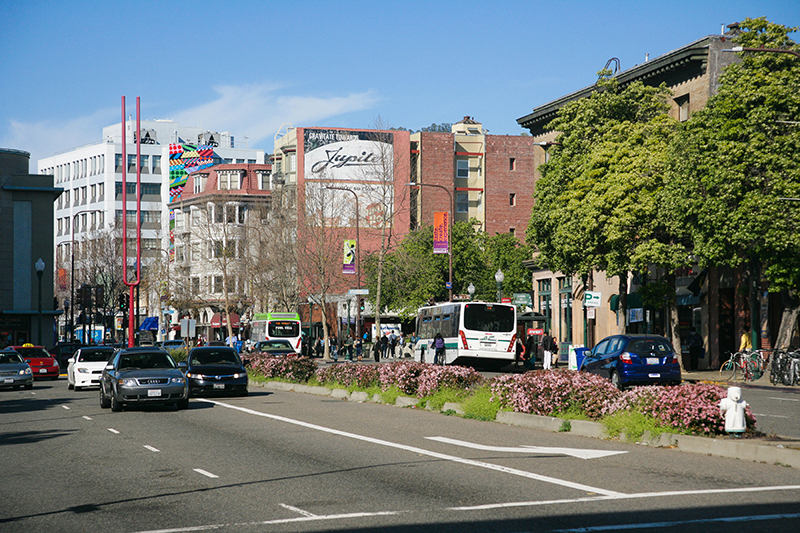 Many neighborhoods in San Francisco are easily accessible by BART and other forms of public transportation. Perhaps the single best resource for rental listings in the Bay Area is Craigslist. This non-profit community bulletin board offers many listings for rentals and shared housing throughout the Bay Ara. They also offer a free subscription service, customized to your specifications, which sends you new listings as they are posted. Craigslist also has listings for jobs, personals, community events, and just about anything else you can imagine. Other sites, like RentLingo, Zillow and My New Place, have searchable listings for rentals. Zillow and Estately both list homes for sale in the area. There are some housing listings posted on the bulletin boards in the basement of the Student Services Building (2465 LeConte Ave, Berkeley, CA 94709), as well as on the 3rd floor.